The prospect of another long winter and the desire to experience the camaraderie of working on a sewing project together prompted me to start a Sewing For Good class with Minneapolis Community Education. I thought that we would create a dozen or so dolls to give to children in need. I underestimated the generosity and kindness of the class participants. 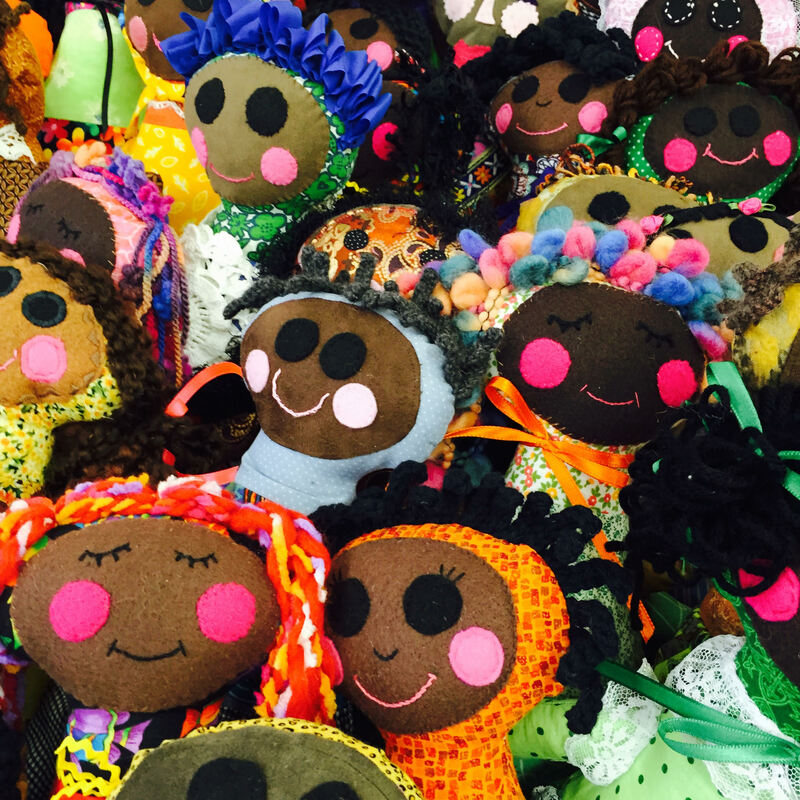 Over the past two winters, the women sewed hundreds of beautiful dolls. As you can see from the photo, creativity and love were poured into the making of each doll. In July I had the opportunity to take some of the dolls to the students at Daylight School. Distributing the dolls to those giggling, beautiful children was a highlight of my life. The video says it all. Before traveling to Daylight, I struggled with whether the money my family would spend on travel would be better spent as a direct donation to the school. Upon my return, I have thought about this question. I cannot know what impact I had on the students and staff, but I do know that every visitor, regardless of the skills or items s/he brings, bears witness to these children and their teachers that they are valued and loved and they are not alone. The children of Daylight are now packed into every corner of my heart. I will continue to support them. I hope you will, too. 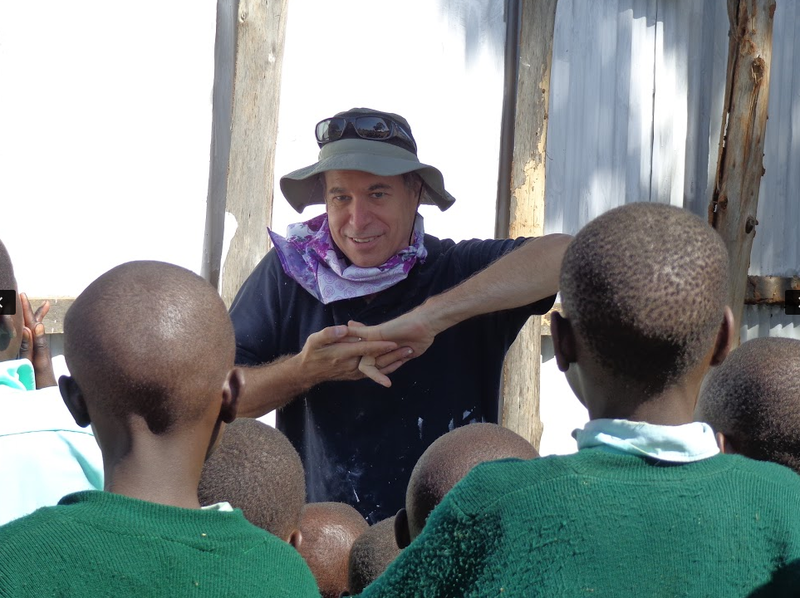 Thank you for serving with us in Daylight Kenya. We value your partnership. If you have been to Daylight Kenya we would love to hear your feedback. Please take a few minutes to fill out this Post-Mission Trip Survey. Your feedback will help improve our Mission Trip procedures and make each trip the best it can be. Before travelling to Daylight, I struggled to come up with skills that I could share with people there. I’m not a musician and can neither sing or dance well or have ever taught children. So I thought that I could at least help with some of the maintainence and upkeep of the buildings. I raised around $1k from Lynnhurst members to help buy paint and supplies and decided that I would help that way. Before going to Kenya, I was disappointed that I didn’t come up with something that would let me interact with the children more and help in the classrooms. What I was surprised to find was the tight bonds that I would form with the men that I worked with painting the buildings. 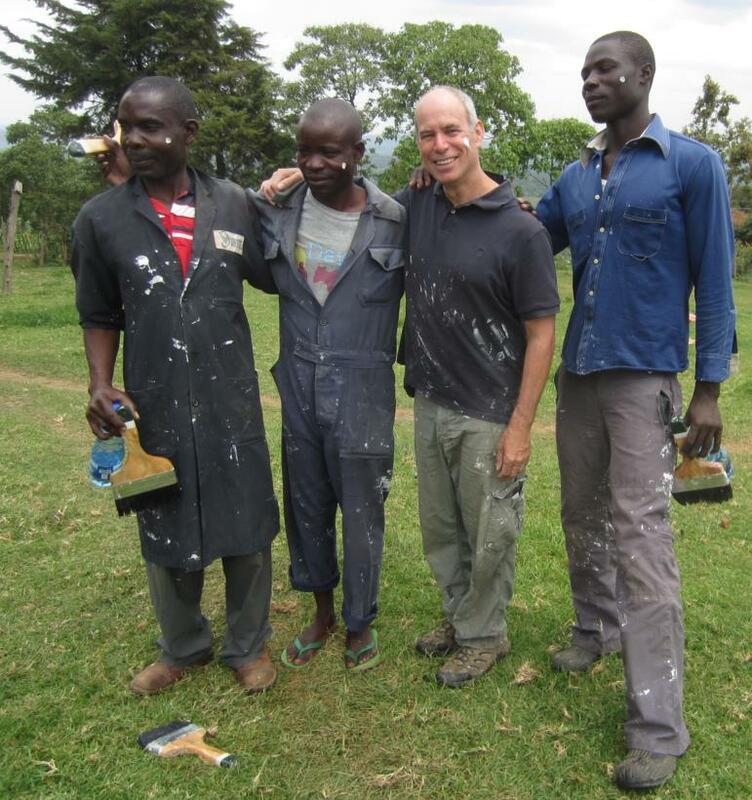 Gideon, the grounds keeper, and I went to Katali on my second day at Daylight and bought paint and brushes and dove into painting the concrete classrooms, teachers quarters and latrines over the next week. There were four of us who painted together every day. We would start each day by putting a spot of white paint on our left cheeks and declaring ourselves a tribe and then we would say a prayer together. As we painted the buildings, we shared our stories, our history, our meals and some pictures under the African sun while listening to Ray Charles and Paul Simon blasting from my iPod into a remote speaker that I brought along. Many children would stop by and watch us paint and listen to the music or sing songs for me as I showed them tricks and games. I found that my connection with these men were just as important as working with the children. I learned about the Pokot people of Kapenguria and their customs as well as their struggles, but I also learned about how dedicated all of the staff were to the children and to making Daylight a success. I witnessed poor men with not enough money to even buy tea bags, laugh out loud, play kickball and share their small rations of food with hungry boys in the school. I no longer felt like I was missing out from being involved in the “Skills Sharing” component of the trip. I felt that I was contributing in a different but important way as well. I learned about these men and their struggles to build this school together and how important it is for the community. I can now share with others back in Minnesota about how important it is for us to support Daylight and become more involved with this community. Phelgona is a well known student because of her big smile. Every morning she bounces into the Pre-School class smiling and ready for another day of classes. Phelgona walks to school everyday. She enjoys being able to go home each night, because her family lives right next door to Daylight. Her family brought her to Daylight because Phelgona has Down’s Syndrome and in rural Kenya it can be very difficult to find schools that will accept children with special needs. But when Phelgona’s parents asked Daylight Manager Terry if she could join classes with the rest of the Daylight kids, Terry smiled and welcomed Phelgona with open arms. 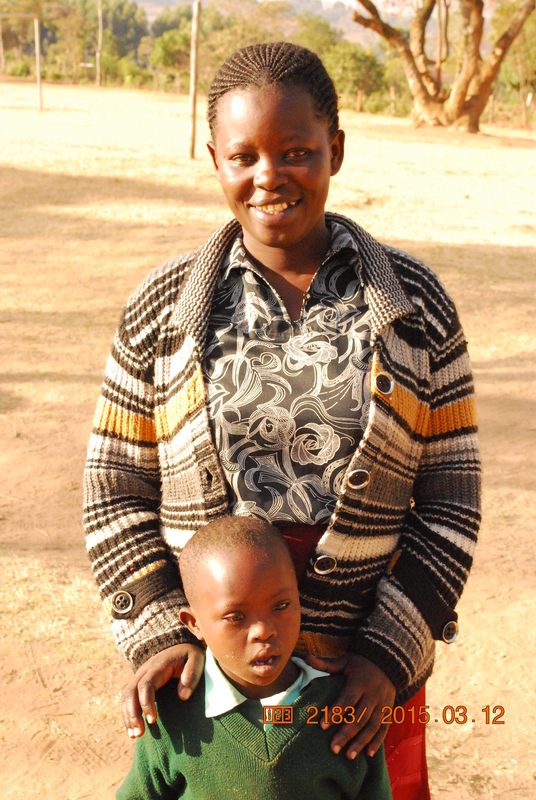 Many special needs children in rural Kenya don’t have an opportunity to go to school so we thank you for making Phelgona’s education possible!